Goodness time flies....I've got lots of projects to share, that is one benefit of a blog absence. These first pages I made using Pretty Little Studio goodies, but forgot to share them. Did I mention Melissa has a new Christmas line available for pre-order now? You can place your order HERE. PS. for today only, use the code PRANCER for 20% off! This next project is quilting inspired. I had so many cute Halloween papers I wanted to use on this page; I found a way to incorporate all of them. I used my 2 inch square punch, then cut them into triangles. I rearranged them and glued them all down. Then I added stitching on all the diagonal lines. A tutorial for this will be coming soon. It was a lot of work, and took several hours and a few episodes of Revenge, but I love the way it turned out. A great way to use a 6x6 or 8x8 paper pad. I got my October Afternoon Witch Hazel pieces from Cassie at the Paper Issues Shop. You can get 20% off any order using code HOLLYH - Oh, and if you are looking for the loose sheets, just send Cassie a message, she has lots. 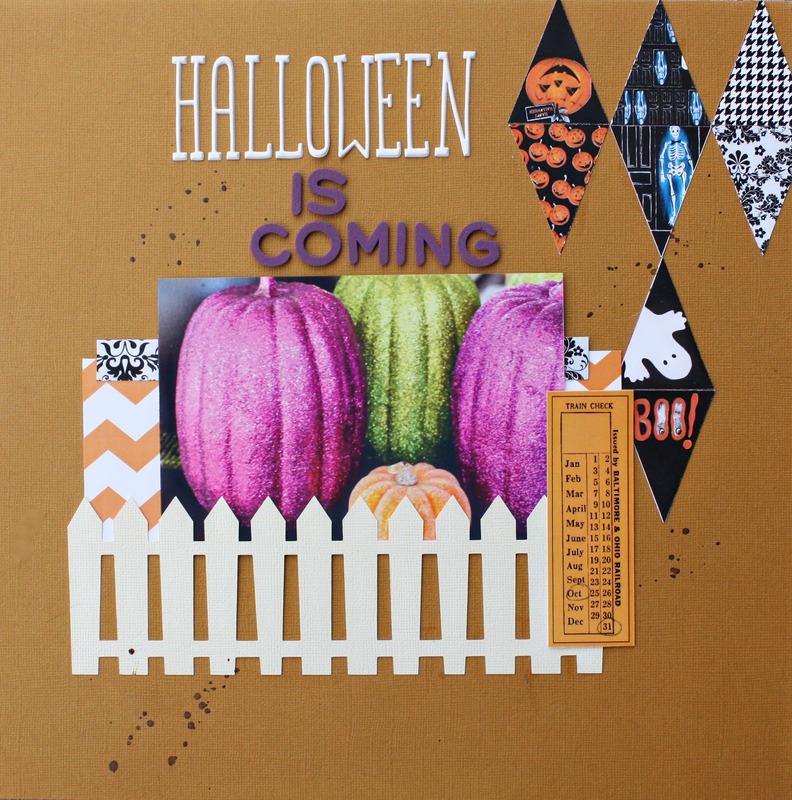 Come back tomorrow to see my Scrapbook Circle October layouts. Love your layouts and the Christmas line is gorgeous! 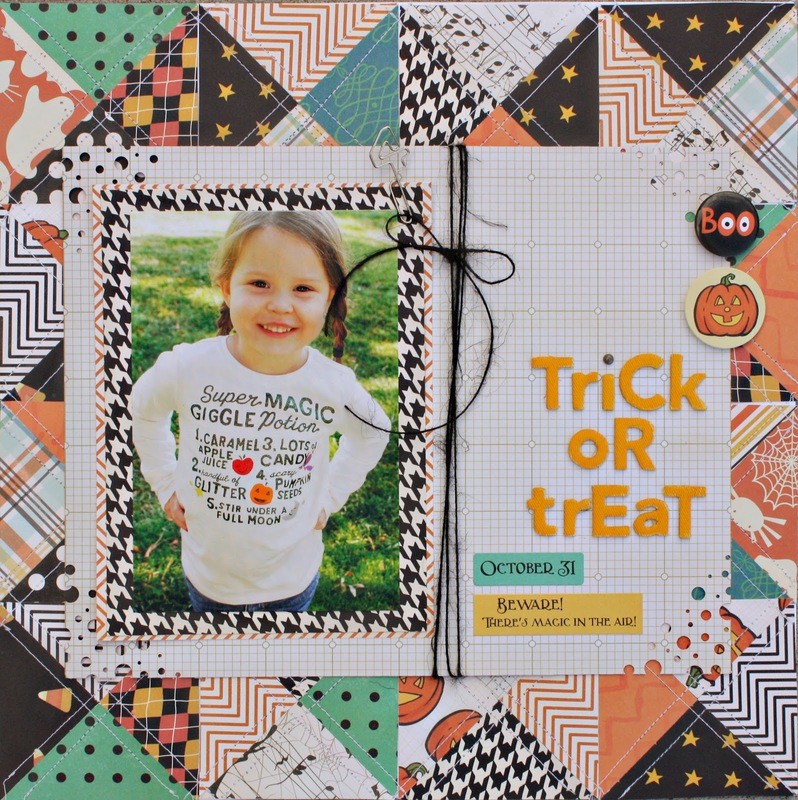 What totally fun Halloween layouts! LOVE THEM! Wow! 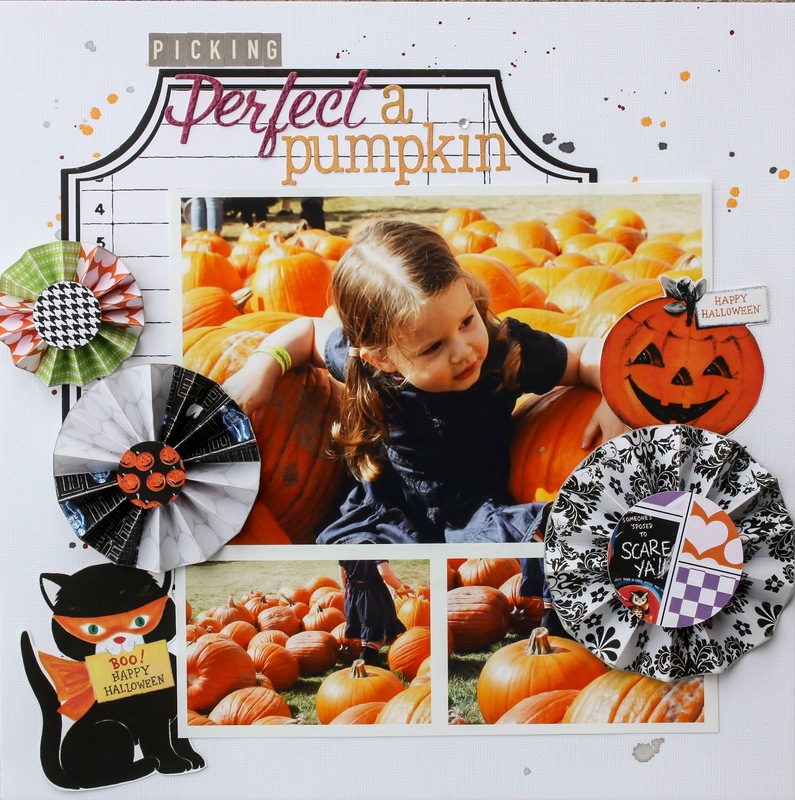 Fun Halloween layouts! Love those triangles you patched together! LOVING all these BEAUTIFUL creations!